The Curiosity rover, part of America's MSL mission, touched down on the Red Planet on Monday 6 August 2012, according to schedule. A confirmation signal was received at 7:31 a.m. (Paris time) at mission control at JPL, Pasadena, California. 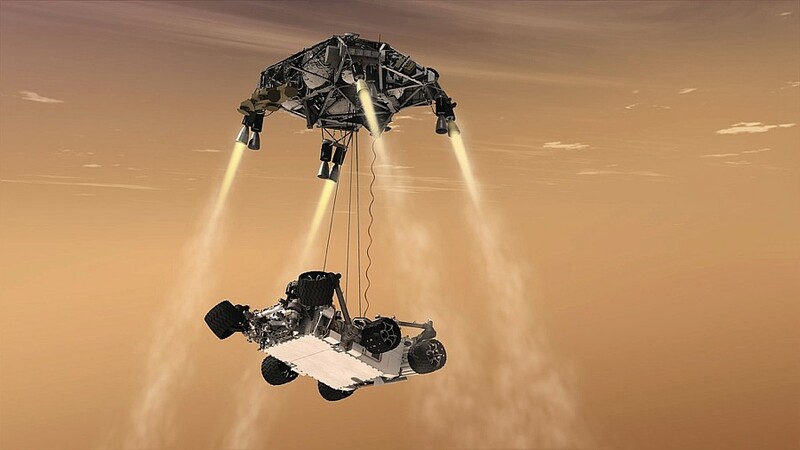 On Monday 6 August 2012, for the first time in history, a 900 kg rover landed on Mars at the end of a 570 million km voyage, which took more than 8 months. 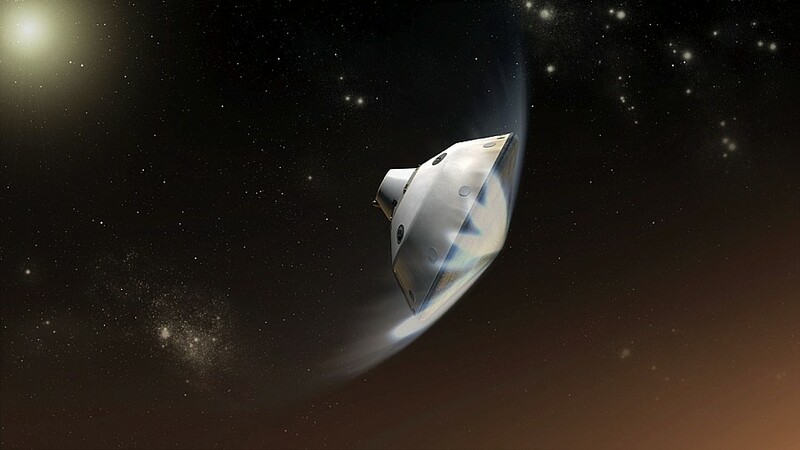 During the final and most perilous stage of its epic journey, the craft was subjected to massive decelerating forces, slowing from 21,000 km/h to less than 3 km/h as it passed through the planet's atmosphere. Curiosity reached its target, Gale Crater, as planned. Contact with the planet surface was confirmed at 7:31 a.m. (Paris time). Gale Crater is an ideal site to learn more about the Red Planet's past because its geological environment is relatively conducive to the development of life. The MSL robotic mission's chief objective is to determine whether Mars could ever have supported life. Using its CheMin and SAM instruments, the rover will analyse rock samples extracted in situ and relay the results back to Earth. 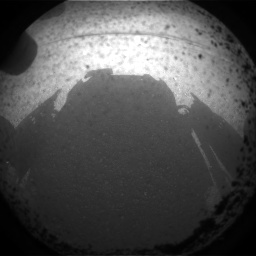 One of the first Curiosity images, shadow on the martian floor, a few minutes after touchdown. Credits: NASA/JPL-Clatech. Curiosity will begin work in just over a week, but all onboard functions must first be tested. Its mast and high-gain antenna must be deployed and telecommunication links established with mission control. The first images will allow controllers to identify the rover's exact landing site and position. Curiosity will conduct its mission on the planet surface for a period of 687 Earth days, equivalent to 1 Martian year. During these 22 months, it will cover a distance of 20 km and will collect and analyse approximately 70 samples of Martian rock and soil. France is playing a significant role in the adventure, supplying the ChemCam and SAM instruments and hosting the FIMOC operations facility at the Toulouse Space Centre (CST). Video from the control center JPL in California. Credits: NASA/JPL-Caltech.